How can Relative Compaction for Foundation Soil be Determined? Compaction is a mechanical process with which air is expelled from the voids in soil to produce a closely packed soil mass for better unit weight to provide better bearing capacity and stability to foundation soil. In designing foundation, sometimes different stabilization methods are used introducing mechanical power or chemical agents to improve shearing characteristics of soil. Compaction with or without application of chemical agents are also used in stabilization process. However, we will now concentrate on compaction process. In case of cohesive soils, using pneumatic-tyred roller or sheep-foot roller, a relative compaction of about 95% can be achieved. 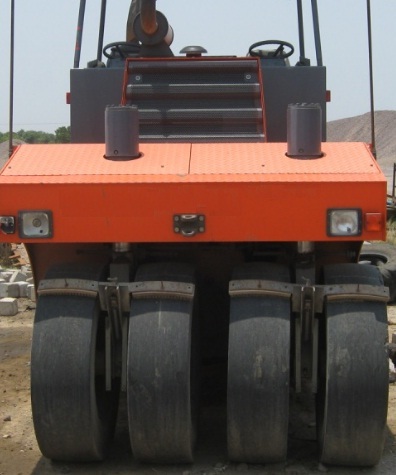 In case of heavy clay pneumatic-tyred roller is not used, the later roller is only used in this purpose. In case of moderate cohesive soils, around 95% relative compaction can be achieved using the pneumatic tyred roller with addition of inflation pressure of the roller of 600KN/m2 or greater. In case of cohesionless soil relative compaction of 100%, even sometime greater than that can be achieved using vibratory rollers, pneumatic tyred rollers and other types vibratory equipment. What are Soil Cement Piles in Soil Stabilization? What is Soilcrete in Soil Stabilization?